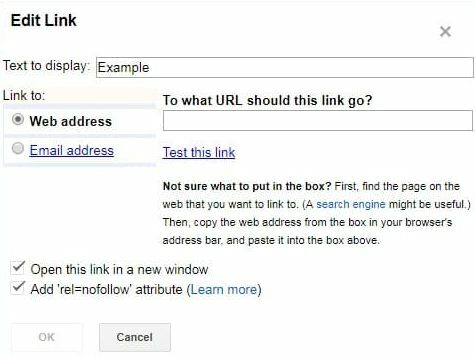 Maybe or maybe not you are aware of nofollow links as well as the dofollow link. What they are and What benefits of these links. 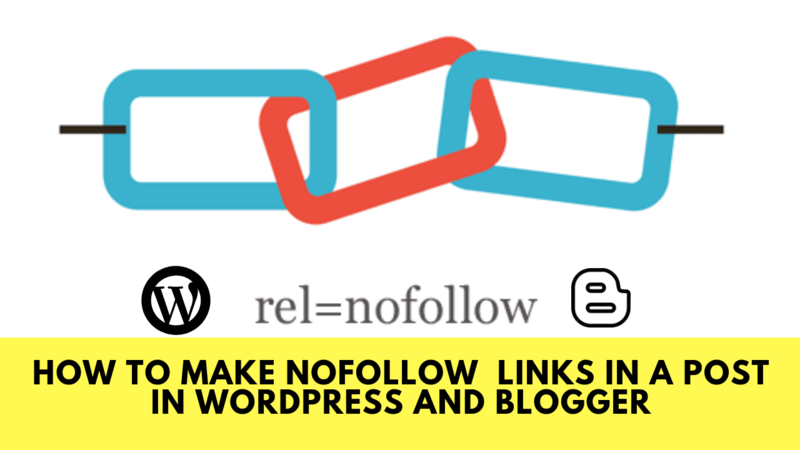 Many of New blogger may be not aware of these Nofollow and dofollow links and their benefits lets talked about them first. 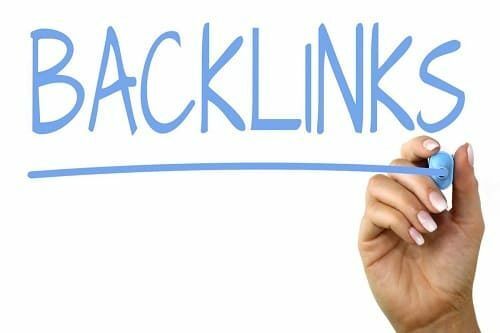 In a simple language, a backlink means your site linking in another website as Anchor text or as a Naked Links and whenever anyone clicks on that it redirects to your site. Nofollow links are links that are generated with HTML code. These are introduced to reduce some type of search engine spam. This is not considered best for SEO ranking factor. This links not passed link juice so search engine not considered in ranking factor. There are a various plugin in WordPress but here I suggested to use download Ultimate Nofollow plugin. After Installing and activate the plugin. 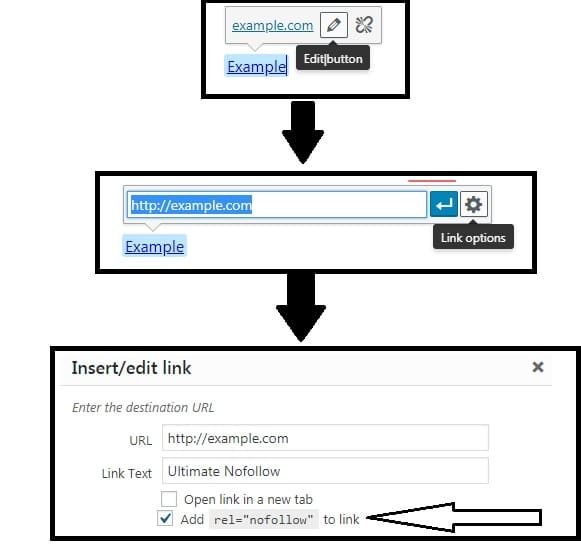 You see A nofollow option in link setting shown in below. In blogger, you do not need any plugin when you give a link on any anchor text in that window you see add nofollow attribute option.